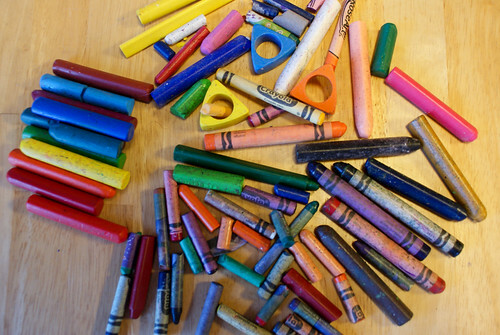 Of course melting down old crayon pieces is not new news and probably not really blog-worthy. But it's something to do when one kid decides 5:30 am is a good time to be up and the other follows close behind. The paper peeling was taking for-ev-er. Then I decided to get out my veggie peeler and that helped out a bunch! I haven't had the pleasure of washing the wax off it yet but somehow I don't think I'll mind. 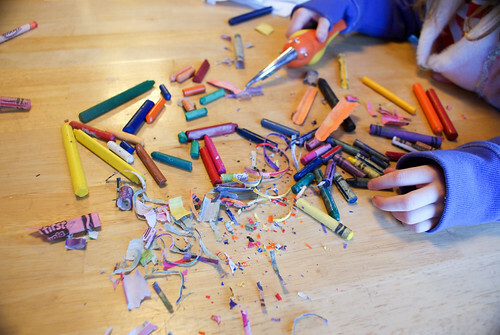 I saved out all our nicer crayons and just melted the little bits of whatever was left. 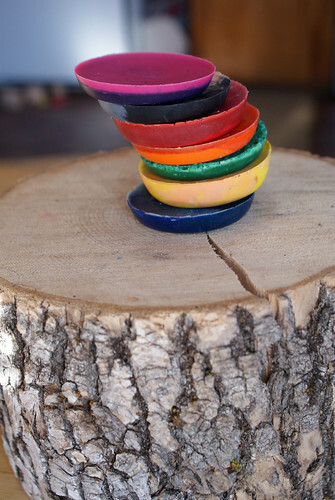 My plan is for these big ones to go into my purse or the diaper bag, mostly for use during church, but for whatever reason Z has decided they're great for pretend cakes. 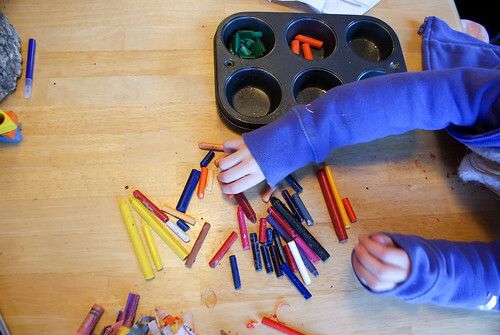 She stands the beeswax crayons I didn't melt down on top and pretends they have candles. 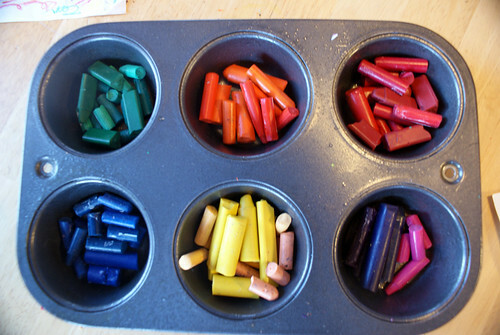 And the colors may have stained my muffin tin. Which is a little gross. But I never use it anyway. I think I'll repurpose it into a "crafts only" tin.